Home bollywoodboxoffice 2.0 First Day, Week and life time Collection - Can Rajinikanth and Akshay Kumar together destroy all records? 2.0 First Day, Week and life time Collection - Can Rajinikanth and Akshay Kumar together destroy all records? Can Rajinikanth and Akshay Kumar together destroy all records. As we know that Rajnikanth is one of the biggest star of Indian Regional Cinema. He was also appeared in Some of the Bollywood Movies as Well. His same work can be seen in his Bollywood movie "Robot". Well the Movie has been released now, and is getting very positive reviews also. The direction of S.Shankar is appreciated a lot by the audiences and critics. 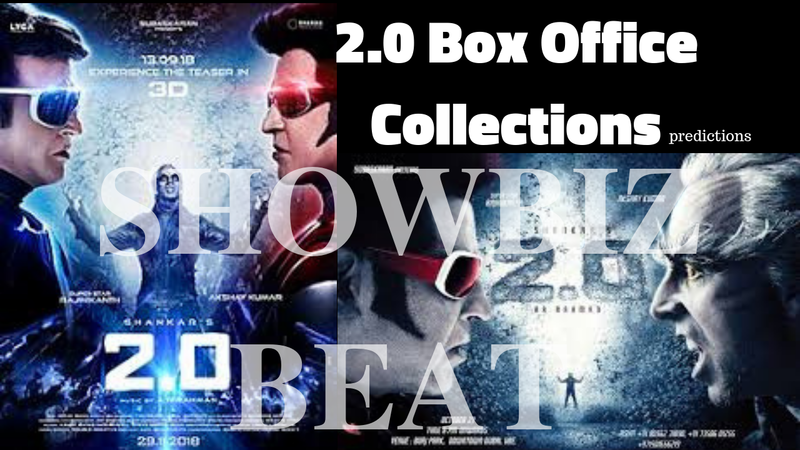 One of the biggest Critic of Bollywood Mr. Taran Adarsh stated that "2.0 is a cinematic marvel... This has style with substance... Director Shankar is a visionary... He hits the ball out of the park this time... Akshay Kumar is FANTASTIC, while Rajinikanth is THE BOSS... SALUTE!‬". The Movie is having a much higher budget than any Bollywood movie, Which sums up in about 600 Crores Indian Rupees. Remember the Original film is shot in Tamil Language, but is translated in Hindi also, And will be having the screens across the Whole India. The number of Screens on which the movie is released are also huge, which is Around 10,500 Cinema Screens Across the Globe. According to some sources the 1.2 Million tickets were booked right before the release date. Which shows that how big gonna this movie be at the box office. Now the Question Raises that Can Akshay and Rajnikanth set a bigger bench mark in Indian Cinema? Well according to its initial reviews they are pretty much succeeded in their effort. The Popularity of both the Stars is also massive in numbers. The movie is expected to make 50 Crore on its first Day at Box office. 2.0 will easily make its entry in 100 Core club in its 2nd day, and the first week of will reach the business of around 430-500 Crore world wide, Which will not cover even the capital invested by if it gets this kind of momentum then its pretty much sure that it will make some 200 Crore profit for the Producers.